The Martina Arroyo Foundation's 13th Annual Gala, a celebration of Prelude to Performance, Role Class and Outreach Programs, will be held on Monday, November 13, 2017 beginning 6:30pm in the Grand Salon of the JW Marriott Essex House,160 Central Park South, NYC. 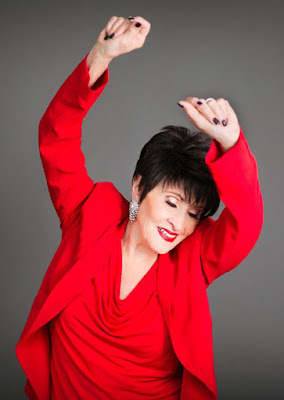 The gala will honor James Morris, Metropolitan Opera Bass-Baritone; Ailyn Pérez, Metropolitan Opera Soprano; Chita Rivera, Tony Award Winning Actress; and Tommy Tune, Tony Award Winning Actor. Dinner will be held at 7:30pm with award presentations and a live auction, followed by dessert and a special performance by Prelude to Performance Young Artists and Special Guests. The event is black tie optional. “The Chew”’s biggest Halloween extravaganza in seven seasons will serve up a ghoulishly good time with a seven-course Halloween event! Our talented team of award-winning co-hosts will deliver a spooktacular celebration featuring festive cocktails, delicious main dishes, and an impressive feast of costumes. 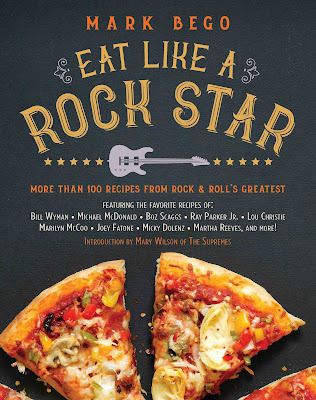 Check out this irresistible treat with sneak peek of Mario Batali, Michael Symon, Clinton Kelly and Carla Hall as the Golden Girls. You are not going to want to miss the 28 costumes, 24 wigs and headpieces, 18 pairs of shoes, 17 pairs of pants, 12 pairs of glasses, 6 dresses, 5 scarves, 4 pairs of earrings and 2 necklaces on “The Chew”’s Halloween Bash airing Tuesday, October 31 (1 p.m. ET, noon CT/PT) on ABC. After one year, Bobby Conte Thornton, who originated the role on Broadway, will play his final performance on Sunday, November 5. 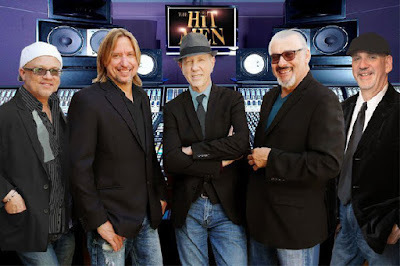 The Hit Men are five brilliant musicians and singers who, throughout the 1960’s, 70’s, 80’s and 90’s, toured and recorded with some of the biggest names in the music business - huge stars from Frankie Valli and Carly Simon, to Tommy James, Carole King, Cat Stevens, Jim Croce, Cheap Trick, Elton John, Paul McCartney, Barry Manilow, Rod Stewart, Blood Sweat & Tears, and many, many more. They are not a tribute act. They are not the former cast of a Broadway musical. They are the actual artists who helped rocket so many songs to the top of the Billboard charts. They have been presidents, queens and stars of the silver screen, witches, cartoons and Disney villains but this year, “The View”’s Halloween is one for the books! A disappearance, a caped crusader riding to the rescue, evolution, climate change, lies vs. facts and the mother of all rhyme …Is this the Hot Topics list or Halloween inspiration from the classics? Find out when “Once Upon A View” airs Tuesday, October 31 (11 a.m. - Noon ET) on ABC. Their Royal Highnesses Crown Prince Alexander and Princess Katherine, hosted Lifeline New York’s 7th Annual Benefit Luncheon to raise funds for medical equipment for children's hospitals in Serbia at Le Cirque recently. Among the supporters were Jean Shafiroff, Ivana Trump, Prince Dimitri of Yugoslavia, Cheri Kaufman, Sharon Bush, artist Robert Cenedella and Kick Kennedy. The event kicked off with a champagne reception where guests were served hor d'oeuvres. At the lunch, President of the Board, David Hryck, welcomed guests and introducing Event Emcee and Vice President Cheri Kaufman who introduced HRH Crown Prince Alexander who thanked his wife and attendees for their support. 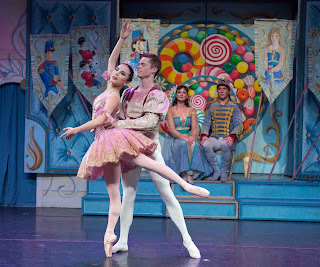 New York Theatre Ballet returns to Florence Gould Hall with their popular and critically acclaimed production of Keith Michael's THE NUTCRAKER from December 15-17, 2017. This is a timeless, inventive re-imagined classic danced to Tchaikovsky's beloved score and set in an Art Nouveau style, circa 1907. The set is designed by Gillian Bradshaw-Smith, and costumes are designed by Sylvia Taalsohn Nolan (Resident Costume Designer at the Metropolitan Opera). 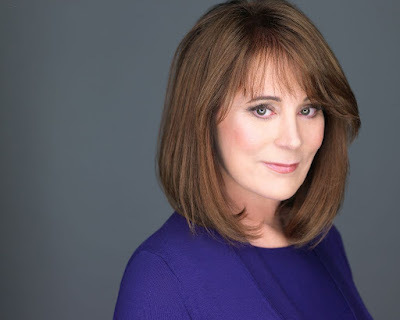 Full casting has been announced for Tony, Grammy and Olivier Award winning musical Jersey Boys, now in rehearsals for performances to begin Wednesday, November 22 at New York City’s New World Stages (340 West 50th Street) Stage 1. As previously announced, Jersey Boys stars Aaron De Jesus as Frankie Valli, Nicolas Dromard as Tommy DeVito, Mark Edwards as Nick Massi and Cory Jeacoma as Bob Gaudio. The production also includes Stephen Cerf, Andrew Frace, Natalie Gallo, Jon Hacker, Christopher Messina, Austin Owen, John Rochette, Jenna Nicole Schoen, Rachel Schur, Dru Serkes. Tickets are now on sale at the New World Stages box office or by visiting Telecharge.com. Group sales (ten or more) are available through Dodger Group Sales at 877-536-3437. Would you buy a haunted house? According to a survey by Realtor.com, 33% out of 1,000 people said they would! Fall is a slow time of the year in the real estate business. The kids are back in school and winter is coming up fast when most people do not want to move. With anxious sellers and fewer buyers, it is the best time of the year for a bargain on a home purchase - especially a haunted house. But buyer beware, this year’s “Top 10 Haunted Homes For Sale” list from TopTenRealEstateDeals.com has ten ‘spooktacular’ listings that might raise the hair on the backs of the necks of even the bravest home buyer! The Clown Motel, which has recently garnered fame from its appearance on shows like "Ghost Adventures" and exposure on the internet, is now for sale. For $900,000, a new owner will inherit the collection of clowns and motel. NY POST -- Disgraced comedian Bill Cosby is looking to take a $30 million loan against his Upper East Side townhouse to pay for his mounting legal bills as he faces a retrial for sexual assault. 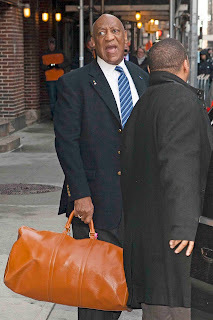 Cosby, 80, is trying to take the $30 million hard money loan on his 12,000 square foot mansion as he hires a new legal team to represent him, “Page Six TV” revealed Wednesday. He bought the six-story townhouse in 1987 for $6.2 million and reportedly spent another $1.2 million renovating it. Neighbors include Princess Marie-Chantal of Greece, Cantor Fitzgerald CEO and chairman Howard Lutnick, and billionaire Jeffrey Epstein, who spent 13 months in jail after pleading guilty to soliciting prostitution from an underage girl in 2008. Angelo David Salon, New York City’s leading luxury hair salon for Couture Hair Extensions, Wigs & Additions, partnered with New York radio station 95.5 PLJ for the 3rdAnnual Blow Out Breast Cancer Event in honor of Breast Cancer Awareness Month. Proceeds from the event will go directly to the Samuel Waxman Cancer Research Foundation (SWCRF), an international research organization dedicated to curing and preventing cancer. The popular event continues to grow, and is now adding participating salons; this year, Gumdrop Hairdressing, located at 46 Church Street, Montclair, NJ joined the cause. Attendees at the Gumdrop Hairdressing event included Nicole Coultas, VJ Moscaritola, and Jeanna Sheridan. Laughing Affairs, founded by comedian Felicia Madison, presented Laughercise, an innovative lunchtime comedy show, at the West Side Comedy Club located at Playa Betty’s restaurant in New York City. The afternoon’s lineup included Felicia Madison and fellow comedians Liz Miele and Carmen Lynch. Guests enjoyed lunch as the talent took to the stage. Felicia performed after an opening act, sharing her irreverent take on marriage, motherhood, and life in Manhattan. “My husband wouldn’t divorce me,” she quipped. “He couldn’t bear to part with… half of his money.” Liz offered anecdotes on dating as a comedian (“His eyes are broke, my face is broke… is this what soulmates are?” she joked about dating a color blind suitor while dealing with an acne flare-up) and Carmen’s routine touched on everything from dating an older man to goat yoga. Before his sexual harassment scandal broke, Harvey Weinstein was trying to put together a deal to buy the legendary Rolling Stone magazine, Page Six has exclusively learned. 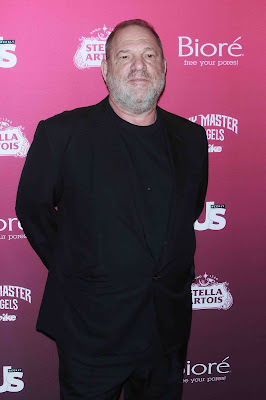 With Weinstein now out of the way in rehab, “Page Six TV” revealed that bidders for Jann Wenner’s venerable publication now include famed former Live Nation Entertainment executive chairman and Eagles manager Irving Azoff who’s putting together a $30 million plus offer backed by Madison Square Garden chairman James Dolan.